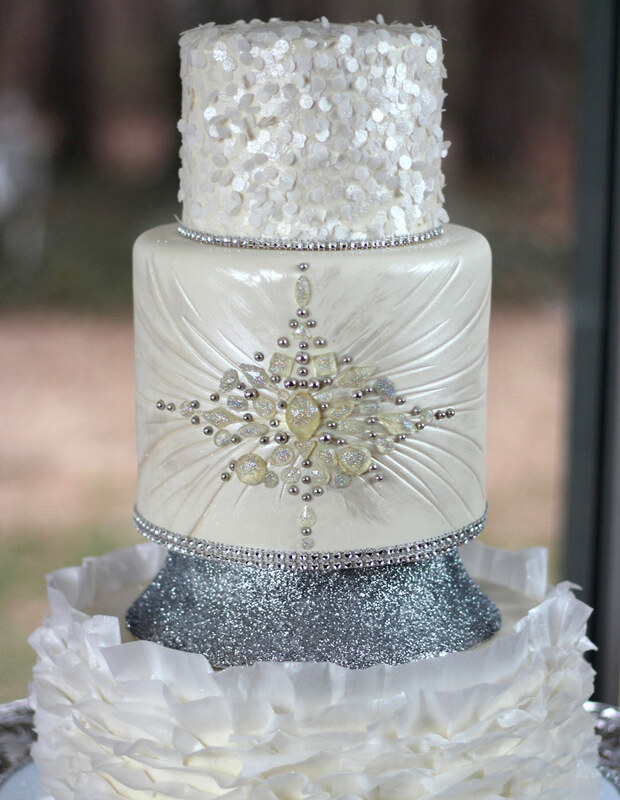 This jeweled wedding cake was iced in fondant with added texture and edible jewels on the middle tier. 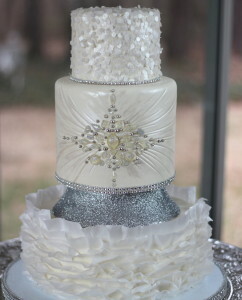 The top tier was made with pearl sprinkles. The bottom tier was made with translucent ruffles for an additional texture.